Acme United Corporation (NYSE American: ACU – $17.10) reached net sales of $34.7 million in its third quarter ended September 30, 2018. This was up $946,000, or 3%, compared with sales of $33.8 million achieved in the same period of 2017. While sales for the third quarter set a new all-time record, net income for the three months ended September 30, 2018 declined to $807,000, or $0.23 per diluted share, which is a decrease of 33% and 28%, respectively, compared to $1,202,000, or $0.32 per diluted share, reached in the third quarter of 2017. Third quarter revenues were especially driven by record back-to-school sales of scissors online, excellent sales of Cuda fishing tools and Camillus hunting knives. In addition, first aid sales grew 7% thanks to new business at industrial distributors and additional SmartCompliance accounts. However, the Company had to cope with several unexpected and unfortunate setbacks during the quarter. As a result, sales goals were not achieved despite increased sales and marketing personnel that was hired to support growth initiatives. Sales of office products, for example, were impacted by continued store closing at Staples. The major retailer already closed hundreds of unprofitable stores the past few years. Whenever a store closes, its inventory is shifted to other stores, resulting in purchase orders for Acme United products being temporarily postponed. In addition, the Company experienced softness in sales of office shears and first aid products at a major online retailer. The retailer apparently put its own private label products in the spotlight the past few months. Acme United is trying to resolve this issue. It’s also positive that other major retailers are aggressively increasing their online businesses. Furthermore, Hurricane Florence forced Acme’s North Carolina warehouse to shut down during four days due to a power blackout and flooded roads. This caused about $1 million of sales to shift to the fourth quarter. Finally, interest expenses were higher in the third quarter due to higher interest rates on the Company’s variable rate credit facility. Acme’s current line of credit with HSBC has an interest rate of LIBOR plus 2.00%. As a result of all of this, the Company has adjusted its guidance for 2018 to $139 million in revenues, $4.7 million in net income, and $1.30 earnings per diluted share. This compares to sales of $130.6 million, GAAP net income of $4.1 million (which included a $1.2 million non-cash tax charge related to the U.S. Tax Cuts and Jobs Act) and earnings per diluted share of $1.42 for 2017. Already in the third quarter, the Company took decisive steps to significantly reduce costs. It let go of a number of people, which will reduce personnel expenses by about $700,000 annually. Acme has also cut back on print advertising and put more focus on social media, resulting in savings of $400,000 as of January 2019. Moreover, the Company has started productivity initiatives at its Rocky Mount warehouse in North Carolina, which should result in annual savings of another $400,000. Finally, it is addressing its inventory levels. They hit a peak in June 2018 of $42.5 million and dropped to $42 million by the end of September. The goal is to reduce inventory further with another $1 million by year-end. Acme United has recently launched many new products that should help boost sales in the coming months. 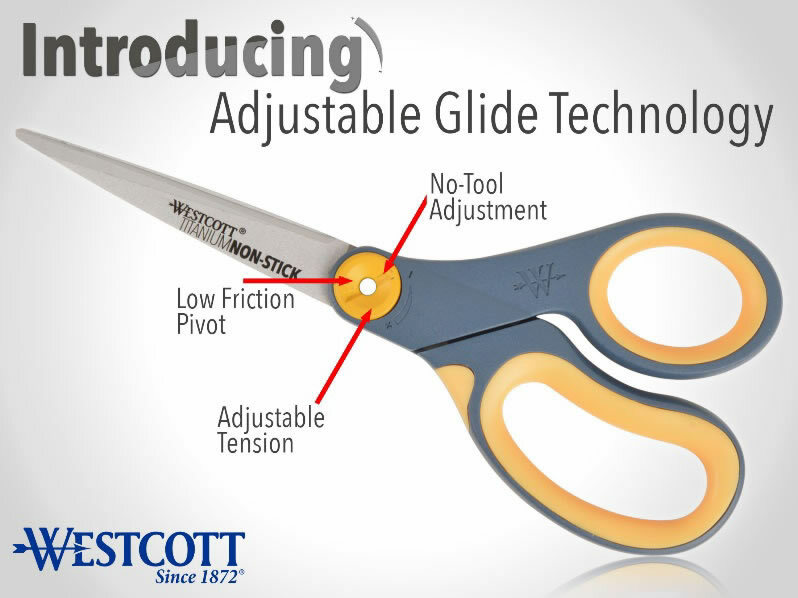 For example, the Company introduced a new line of Westcott scissors that incorporate the glide technology. These scissors, which have a low friction pivot with adjustable tension, cut extremely fluidly and efficiently. The scissors are being placed at major craft and retail chains at the moment. The new Westcott scissors with glide technology are being placed at major craft and retail chains at the moment. The Company announced new ceramic box openers that are geared towards the industrial safety as well as consumer markets. Trials are ongoing with a major online retailer. Westcott has introduced new glue guns, glue sticks and cutting tools for the craft market. These will be available at major retailers next year. The first aid business just introduced the next generation safety hub ecosystem and a completely new line of modern first aid stations that can be customized with different industries. In addition, distribution of Spill Magic cleanup absorbents has expanded to industrial wholesalers, online customers, and new end-users. New DMT diamond sharpeners that automatically adjust their sharpening angles were recently introduced and are expanding distribution. Camillus Knives continues to set new sales records. The brand launched four high-quality knives for The Boy Scouts of America. Camillus launched two 8.5″ fixed blade knives and two 6.75″ folding knives. They are all made in the United States and come with a brass Eagle Scout emblem. Net sales for the nine months ended September 30, 2018 were $106.2 million, compared to $100.4 million in the same period in 2017, an increase of 6%. Net income for the nine months ended September 30, 2018 was $4.0 million, or $1.12 per diluted share, compared to $4.7 million, or $1.25 per diluted share, for last year’s same period, decreases of 15% and 10%, respectively. The gross margin was 36% in both the third quarter of 2017 and 2018. The year-to-date gross margin was 37% compared to 37% in last year’s period. SG&A expenses for the third quarter of 2018 were $11.1 million or 31.9% of sales compared with $10.3 million or 30.4% of sales for the same period of 2017. SG&A expenses for the first nine months of 2018 were $32.9 million or 31% of sales compared with $30.2 million or 30% sales in 2017. The SG&A increase for the three and nine months was due to higher outbound freight costs and sales commissions as a result of the sales growth, and the addition of sales and marketing personnel. Exact revenues per segment for the third quarter will be available in the 10-Q, which will be filed mid-November. However, Acme announced for each segment the percentage by which revenues increased or decreased compared with last year’s third quarter. Based on those numbers, we can give a fair estimate. In the U.S. segment, net sales for the three months ended September 30, 2018 increased 3% compared to the same period in 2017. Sales of first aid and safety products were $15 million, an increase of 7%. Net sales for the first nine months of 2018 in the U.S. segment increased 6% compared to the same period in 2017. Sales of first aid and safety products increased 12% due to market share gains. Net sales in Europe for the three months ended September 30, 2018 increased 2% in U.S. dollars and 3% in local currency compared to the same 2017 period. Net sales for the nine months ended September 30, 2018 increased 13% in U.S. dollars and 6% in local currency compared to the first nine months of 2017. Net sales for both periods grew mainly due to new customers in the office products channel, growth in sales of DMT sharpening products, and strong e-commerce demand for these products. Net sales in Canada for the three months ended September 30, 2018 increased 2% in U.S. dollars and 6% in local currency compared to the same prior-year period. Net sales for the nine months ended September 30, 2018 increased 3% in U.S. dollars and 2% in local currency compared to the same period in 2017. Acme United’s bank debt less cash on September 30, 2018 was $46.5 million compared to $38.9 million on September 30, 2017. During the twelve-month period ended September 30, 2018, the Company purchased its manufacturing and distribution facility in Vancouver, WA for $4.0 million and distributed $1.5 million in dividends on its common stock. The Company’s inventory increased $4.5 million, mostly in anticipation of new business. At the end of the third quarter of 2018, Acme had over $67 million in working capital and an impressive current ratio of 6.91. Acme United’s sales in the third quarter continued to grow, reflecting the success of its Westcott back-to-school scissors, Camillus knives, and first aid products. Also, year-to-year gross margins were comparable. However, higher selling, general and administrative expenses impacted profitability levels. Severe weather conditions added to the difficulty of the quarter. During the third quarter, the Company began reducing costs through a series of productivity initiatives. It expects annual savings of approximately $1.5 million in purchasing, advertising, selling and personnel expenses. It is also targeting $1.0 million in inventory reductions in the current fourth quarter. At the same time, Acme began selling its new SmartCompliance first aid kits, eye wash, and bleed control stations in the fourth quarter. Shipments of new Camillus knives are scheduled for the holidays. Many other new products will hit the shelves shortly. The Company’s goals for the next 18 months are to deliver 5% to 7% organic sales growth, continue to evaluate add-on acquisitions, improve gross margins and reduce selling, general and administrative expenses as a percent of sales. Add some shares to your portfolio at these bargain prices. Better days are ahead. Recommendation: BUY.